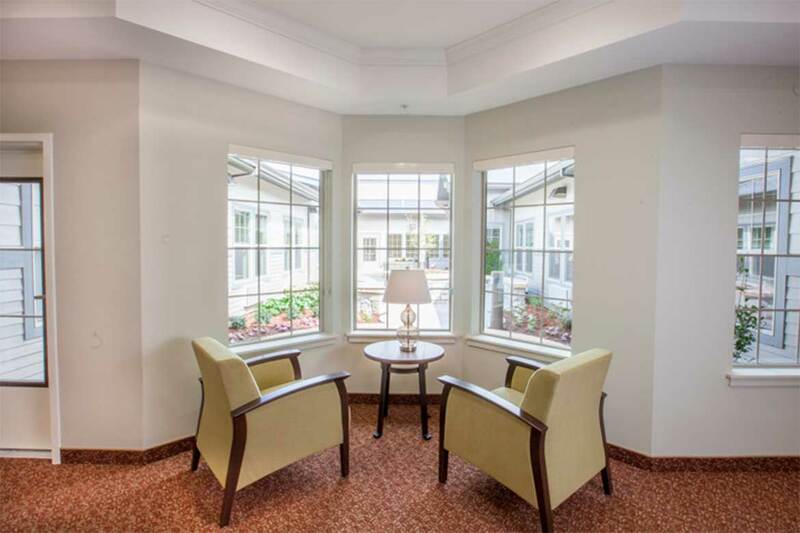 The 56 unit Windsong Memory Care at Eola Hills is a classic study in form and function. 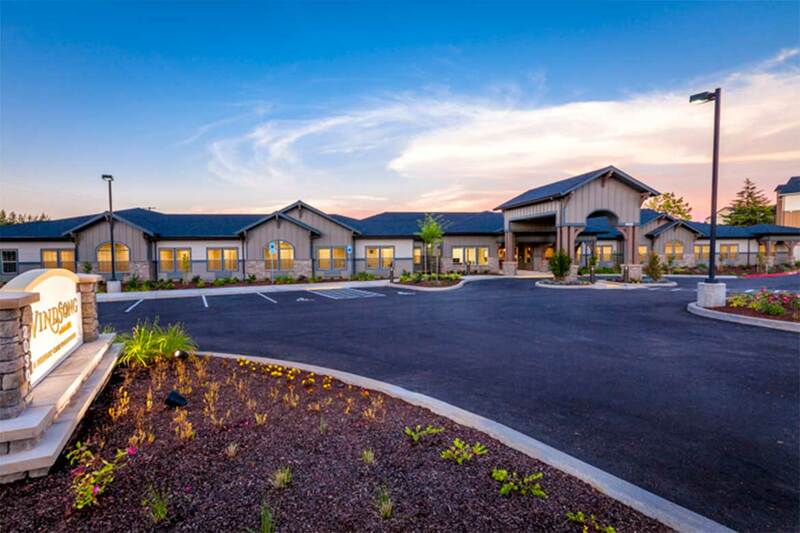 This 32,000 square foot building is designed to support the special needs of residents suffering from Alzheimer’s and dementia. 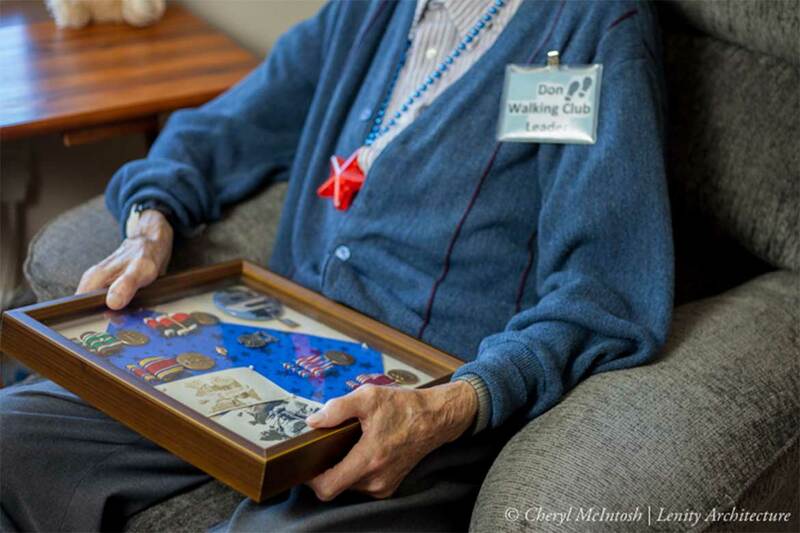 The Windsong Memory Care community practices a progressive approach towards extending seniors’ quality of life by incorporating the Montessori style of learning. The building and its exterior open living spaces, activity and sitting areas are designed to help ease feelings of confusion and disorientation while encouraging interaction and activity. The owner approached Lenity Architecture with a prototypical concept for a figure 8 building design. The site was ideal in the sense that it was surrounded by farmland and residential yet conveniently located for visitors and staff. However, during the site planning and feasibility phase, we found that the size of the site wasn’t conducive for the number of units intended in the original concept design. To overcome this challenge, the building needed to become extremely efficient in its form and function. The architect divided the original figure 8 design and brought half of the building around in a different configuration. Through creative problem solving, we were able to address the site constraints and in doing so–leveraged the redesign to add beauty and interest to the exterior. The front exterior is broken up and jogs back and forth to create interest and depth. So, although the building itself is large, it feels welcoming and intimate as you approach. Additional design elements such as the combination of wood siding, stone, heavy timber and wood brackets add a rustic feeling that compliments the surrounding area. The nature of Alzheimer’s and dementia care necessitates high security measures for resident safety. Due to the residents’ constricted access beyond their wing of the building, the quality of their outdoor spaces becomes especially significant. To compliment the Montessori approach to teaching, private spaces were designed to reduce outside stimulation and allow for quiet one-on-one interaction with staff. Landscaped courtyards in the center of each wing allow for easy access and beautiful views throughout the building. The courtyards are designed to with the five senses in mind–an important component of the Montessori style of learning. The design challenge was to reduce the courtyard’s appearance of a long narrow space while maintaining the highest level of resident safety. Both courtyards provide a 5 ft. minimum wide unobstructed meandering walk for the residents to safely explore the space. The whimsical paving configuration of each courtyard consists of circular and curvilinear planters arranged to break-up the straight lines of the walled boundaries. A fountain, raised planters, seat walls and trees provide the vertical elements. Non-toxic plant materials were selected to provide texture, contrast, fragrance and floral display. The south patio provided the greatest amount of exposure for sun and contains two small covered patios at each end of the space connected by a meandering sidewalk. Prefabricated concrete manhole cones of two heights were provided as raised planters as gardening therapy for residents. Windsong at Eola Hill’s first resident, Don, was moved by his family from a different facility where his health was rapidly deteriorating. He had lost significant weight, was not speaking, and appeared to be in a deep depression. As the first Windsong resident, Don was given room number one–his first win of many. He is now the walking club leader and maintains a garden in the courtyard. His weight loss is reversing and he is highly engaged with the staff and residents. 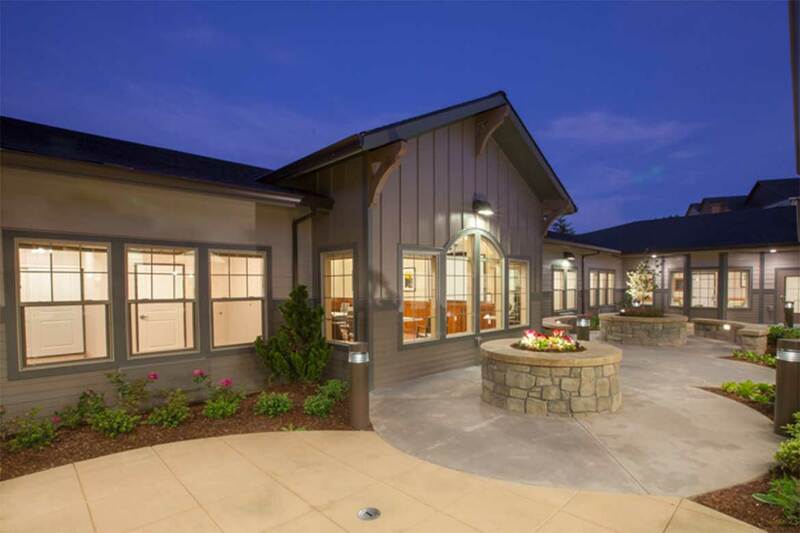 Don’s success is an example of the ideal marriage between form and function in that every aspect of the building is designed to allow the Montessori program, staff, and most importantly–the residents–to flourish. Windsong at Eola Hills exists to help seniors and their families find harmony during otherwise trying times. The word “windsong” marries the two senses of hearing and touch–senses that since birth, we associate with reassurance and comfort. Through their core programming, which is based on the Montessori style of learning, residents are encouraged in a safe and supportive environment to explore all five senses through meaningful and familiar activities. 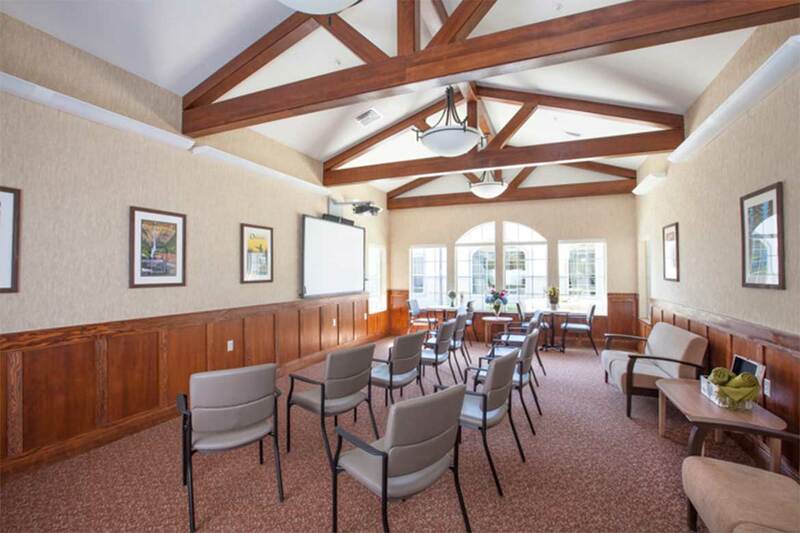 Since opening in April of 2015, Windsong staff have already witnessed remarkable strides forward in several residents’ sense of well being and ability. 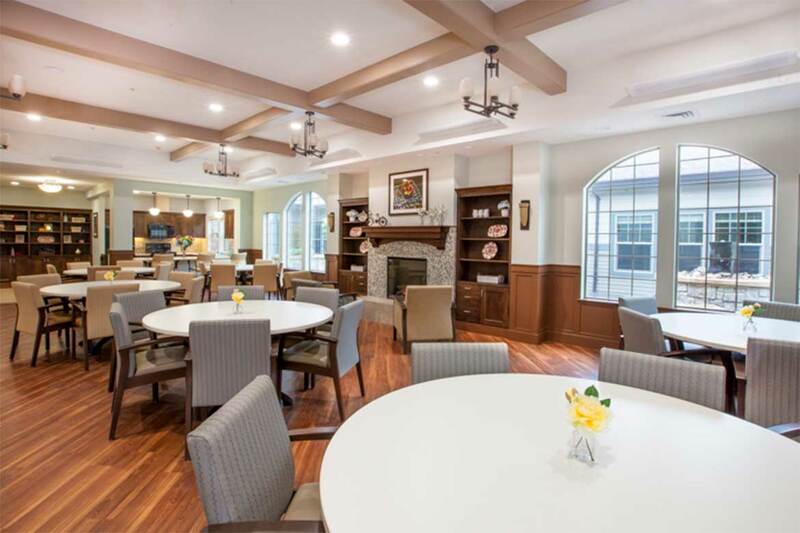 For more information about Windsong at Eola Hills, visit their website at www.windsongmemorycare.com.